An AR-15 is renowned for its remarkable dependability. You can expect it to provide you with many years of reliable service. However, there are a number of things you can do to increase AR-15 reliability. Some involve basic preventive maintenance, while others entail the choices you make in terms of setting up and using your weapon. As with most mechanical objects, an AR-15 requires regular cleaning to keep it in peak operating condition. The more frequently you use your weapon, the more often you will need to clean it. Specifically, you should focus your cleaning efforts on the bolt carrier group to maximize AR-15 reliability. Fortunately, the AR-15 is relatively easy to clean. The basic steps involve removing and disassembling the bolt carrier group and scrubbing the parts with a high-quality gun oil. Be sure to thoroughly clean the area between the bolt and barrel to eliminate excess carbon build-up. 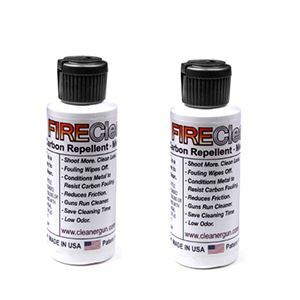 Along with regular cleaning, proper lubrication will make an AR-15 more reliable in the long run. The typical AR-15 contains multiple lubrication points such as the bolt carrier, firing pins, gas rings, bolt lugs and cam pins. Be sure to thoroughly clean the weapon prior to lubricating. The lubricant you use depends in large part on your environment. For instance, a dry lube works best if you use your weapon in dry, dusty or sandy conditions. A heavy lube, on the other hand, may become excessively thick in extreme cold. Replacing the gas rings is sometimes necessary to increase AR-15 reliability. A good method for testing your weapon’s gas ring is extending the bolt from the bolt carrier group and placing it on a flat surface. If the bolt is unable to support the weight of the carrier group, it is time to replace the gas rings. You may be tempted to use a cheap, poor-quality magazine in an effort to save a little money. However, these have a tendency to warp, bend or crack over time. This often results in inefficient ammo feeding and unreliable firing performance. Likewise, the quality of the ammo you use will also directly impact AR-15 reliability. Steer clear of the inferior ammo that is often sold at gun shows. Over-gassing is a common AR-15 problem that is typically caused by an oversized gas port. Over-gassing can cause a live ammo round to enter the chamber before a case has a chance to fully exit, which can lead to malfunctions. If you are rebuilding an AR-15, be sure to choose the correct gas port size for your weapon. By following these tips, you can keep your AR-15 performing like it should. It’s also important to ensure you have the right parts and accessories, so trust Wing Tactical for your AR-15 components.